By now, you’ve probably got a great product picked out. It’s something that meets all the metrics of a great product, plus it’s potentially something that you’ll love. However, it’s about time we addressed the elephant in the room: what does it cost to sell on Amazon? 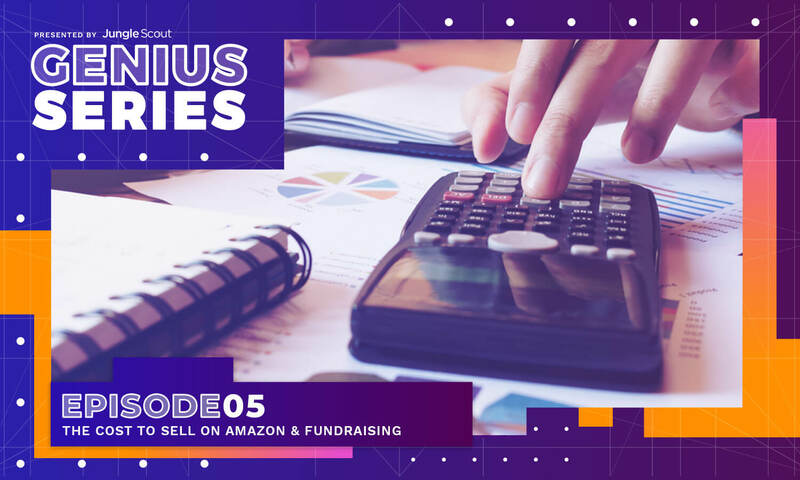 In this article, I’m going to tackle what sort of costs you can expect selling on Amazon, plus some methods to raise funds for your first product (if you don’t already have the requisite funds lying around, that is). Part 1: What Does It Cost to Sell on Amazon? Let’s say you’ve discovered the perfect product. Jungle Scout tells you that this product is an opportunity 8 product with low competition selling an average of 300 units per month. Let’s take a look at your costs broken down by category. You could always do things the old-fashioned way with a spreadsheet, but as you can probably guess, the best way to do Amazon product research is through using Jungle Scout’s Chrome Extension and Web App with our proprietary Accusales™ technology. Long before I started writing for Jungle Scout, I was a user of the technology. It’s helped me save countless hours and earned thousands of times the start-up cost. The Jungle Scout Chrome Extension (Starting at $97/year). This tool is a no-brainer. It helps estimate the average monthly sales for a given search result. And now that we’re using Accusales technology, we’re seeing estimates that are within only a 2% margin of error. The Jungle Scout Web App (starts at $29 per month). Dig through niches, track hot selling products, perform keyword research and more, the web app gives you all the power of the Chrome Extension and then some. Sellers who use it monthly earn, on average, 200-300% more than those who use only the Chrome Extension. Fetcher (starts at $19 per month). Profit analytics are a huge lifesaver. Often, we’ve discovered sellers who think they’re making money only to learn through Fetcher that they’re losing money. Fetcher is also a great way of calculating your profitability before you even launch a product. First up, you’ll have a few costs that’ll go into sourcing your product (don’t worry, we’ll cover sourcing a little more later in this series). Samples from manufacturers ($250). Typically, I purchase 3-5 samples. For the most part, the sample itself is free. However, the cost to ship it express from China usually runs between $40-$75, depending where you are in the world. Purchasing competitor products ($100). The best way to get a feel for what you’re going up against when your product enters the market is through purchasing your competitors’ products, especially those with the best reviews. While this is optional, I highly recommend you do it. Product design is everything. And if you’re someone who’s not a whiz at Photoshop or you don’t have a good eye for packaging, I recommend outsourcing those efforts and paying a professional to do it for you. You can find professional designers on platforms like Fiverr or Upwork. Fortunately, many of these services are pretty inexpensive, costing no more than $100-$200. Logo design. A good logo goes a long way with your company. Product mockups. You may want a visual representation of what your product will look like. This is especially helpful if you plan on doing a Kickstarter campaign (see below). Website design. To get your product brand registered, you’ll need a website made. These are pretty simple to do, especially with tools like Shopify, but if you don’t have a knack for this kind of thing, you can always turn to a pro. After you’ve spent roughly $300-$500 sourcing your product, it’s time to start making deals with manufacturers. This is probably the biggest cost to sell on Amazon. I’ll go into more detail during the sourcing/importing portion of this series. But for now, let’s just figure out some basic numbers. For your first order, I recommend ordering 3 to 4 months’ worth of product plus another 100 units for Jump Send promotions. The reason I say 3 to 4 months is because if your product is priced right and each unit makes at least double its cost in net profits, then you will earn back your initial investment in about 60 days. From there, you can re-up your inventory and still have enough in stock to cover sales while waiting on the next batch. While the cost of your product will vary wildly, try to get your costs per unit around 1/5 (or less) of the sales price. For example, if you’re selling a product for $30 per month, your all-in costs should be $6 or less. Cost of Goods. This is the raw cost of your product before any shipping costs are added on. Remember, if you’re going to try selling a product that sells 300 units per month, you’ll probably need to order 1,000 to 1,300 units to start. Mold/plate fees (~$500). Sometimes, when making a change with the existing product (you should probably do this), the manufacturer will charge a one-time mold or plate fee. These usually run somewhere around $500. Shipping Costs. In addition to your product costs, there’s the cost to actually bring the product to you (or an Amazon fulfillment center). It varies depending on where you live and which method you ship, sea, air, or express. Shipping will be covered in greater detail later in the series. Example: back to our 300 unit $30 product, the cost of goods is $3.75 per unit. There’s a $500 plating fee to put our logo onto the product and design the box. Finally, the cost to have 1,300 sent via sea freight then trucked to an Amazon FC is $1,300. That puts our total manufacturing and importing cost to sell on Amazon at $6,675. Note: if this seems high, don’t worry… there’s ways to get these costs way down! Keep reading! You don’t have to have a lawyer or anything, but you do need a few things to make sure your product is authentic; while boring, it’s just another cost to sell on Amazon that you will need to consider. UPC/barcodes ($25). Used to be you could get away without a barcode for your Amazon product. These days, without a GTIN, it’s impossible to create a listing. For my barcodes, I use Amazon’s suggested partner GS1. I paid $250 for 10 barcodes, plus another $50 per year to keep them going. Trademark ($500). To have your product placed into Amazon’s brand registry program–which we highly recommend–you’ll need a trademark. This is optional, of course, when you’re starting out, but if you’re serious about creating your own product line it’s something to start thinking about early as a trademark can take 6-12 months. When starting out, one big area that people forget when calculating the cost to sell on Amazon is quality control. I have all new products sent directly to me first so I can put my eyes on the product before it hits the Amazon fulfillment center. Naturally, this incurs extra costs. But it’s worth it. Even the best manufacturer might miss a damaged product or two. Not to mention that FedEx/DHL/UPS can be pretty rough in handling your products. Cost to ship products to Amazon fulfillment center. If your products arrive at your quality control location (for me, it’s my garage), that means they’ll have to get shipped to an Amazon fulfillment center. Fortunately, Amazon makes these costs pretty cheap. It costs me about $100 to ship a full pallet to an Amazon FC, or about $7 per 50lbs box. Damaged products. Stuff gets damaged along the way. And it’s pretty rare that your manufacturer will take the blame for it. This is just a cost of doing business–and ultimately, a cost to sell on Amazon. For the most part, though, only about 1 out of 25 products are affected this way. I’ve also gotten pretty good at repackaging damaged goods or sending them in as “used” goods (totally legal to do). Launching a product is a big deal. Obviously, you can put your product up on Amazon and watch as the sheer volume of shoppers helps you pick up one or two sales. But the real key to success with Amazon is through marketing. Amazon has a few awesome tools to help you get started: PPC, promotions, and even a review system. But for the seller who really wants to start things off with a bang, there’s a few cool pre-marketing methods that can help, too. Facebook ads to drive newsletter building. Before your product even hits Amazon, you can generate buzz by getting people to sign up to a newsletter with the promise of future promotions/rebates. Promotional giveaways. The tried and tested model for launching a product on Amazon is by giving away promotions via a promotional site like Jump Send. Essentially, you spend the first 10-15 days giving away promotional products (typically priced at 50-90% below the normal price) to influence the algorithm and place your product higher in the keyword rankings. Influencer marketing. Influencers have a lot of power. Whether it’s on YouTube, Pinterest, or Instagram, sending an Influencer your product and having them talk you up can earn you a ton of early–and evergreen!–sales. There’s also a few costs to sell on Amazon coming directly from Amazon. Professional Seller Subscription ($39.95 per month). If you’re going to sell over 40 products a month on Amazon (you’re probably going to), it’s best just to go ahead and sign up for the professional seller subscription. This will help you avoid the $1.00 per unit fee Amazon charges individual sellers. Amazon PPC. Amazon’s PPC system is powerful and easy-to-learn. PPC stands for price-per-click. Essentially, it’s an ad that, once a shopper clicks on it, you’re charged. New sellers will have to pay from their own credit cards from ads, but experienced sellers can have ad costs deducted from future earnings. Expect to spend at least 25-30% of your product’s sales price on PPC ads. Now that we’ve got a broad overview of what to expect, let’s take a deeper look into the cost to sell on Amazon. For the sake of this example, we’ll use the 300 unit/$30 price product as our prototype. Note: this is an extreme example. Okay, now I know what you’re saying, “How the heck can I afford $10,256.71?” Keep in mind, this is a pretty extreme example (most of the time, you can get away with getting into a product for around $3,000-$5,000). Plus, I’m going to tell you how to easily raise the necessary funds to cover the cost to sell on Amazon. During our survey of potential Amazon sellers that hadn’t “pulled the trigger”, we discovered that one of the biggest reasons aspiring entrepreneurs fail to start is that they fear the costs are too high. After all, in the extreme scenario I demonstrated above, it’s pretty easy to spend $9,500 or more starting off with an Amazon product. And while our Accusales™-powered Jungle Scout Chrome Extension and Web App are frighteningly accurate, it’s still a big pill to swallow. So how can a new sellers raise funds to cover the cost to sell on Amazon? Of course, there’s the most basic method of starting up an Amazon product and that’s tapping into your own savings. Doing it this way means you won’t have to rely on others to raise the requisite funds to cover the cost to sell on Amazon. However, this method comes with the highest level of risk, too. After all, on the off-chance that your product totally crashes-and-burns, that’s your money going down the drain. Next up, you can always get a line of credit or a small loan to cover the costs. While you won’t realize the costs right away, in the end, you’re responsible for the money borrowed plus any interest incurred. For many who don’t have cash, this is an easy way to get started. But why tack on additional costs (interest, fees, etc)? In the end, that just cuts into your profitability. Note: be sure to consult with a credit specialist before opening a credit card or loan for a business venture. Borrow from Friends, Family, etc. Along the same lines as taking on credit or small loans, there’s borrowing from friends and family. Often, this can help you shrink the interest you’d incur working with a lender, but it can also strain your relationship with the person or persons you’re borrowing from. Plus, you’ll still owe that money back regardless if the product is a success or failure. Another way to reduce your capital risk is by taking on partners. While you’re no longer playing with just your money or even your future money, you are giving away a portion of your business to those who expect a return on their investment. This may lead to loss of creative control. However, there is one effective method for raising the requisite funds that doesn’t involve risking your own money or future money (or at least not as much), adding interest onto your costs, putting strain on existing relationships, or divvying up your young company. And that method is crowdfunding. 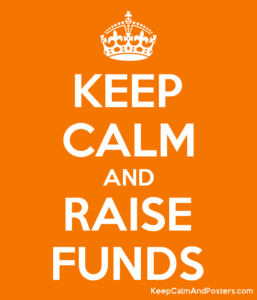 Crowdfunding is the practice of funding a project or venture by raising many small amounts of money from a large number of people, typically via the Internet. Usually, the one raising the funds–usually called a campaign-creator–offers backers rewards which are redeemed once the campaign succeeds. Kickstarter and IndieGogo are two popular crowdfunding platforms. Recently I wrote an article about the most successful Amazon private label product ever, Cards Against Humanity. I love how those guys started their business. With nothing more than a mailing list of about 1,600 people, the creators of CAH used Kickstarter to raise a little over $15,000. After fulfilling the backer rewards, they sent the rest of the stock to Amazon and became an instant Amazon success story. 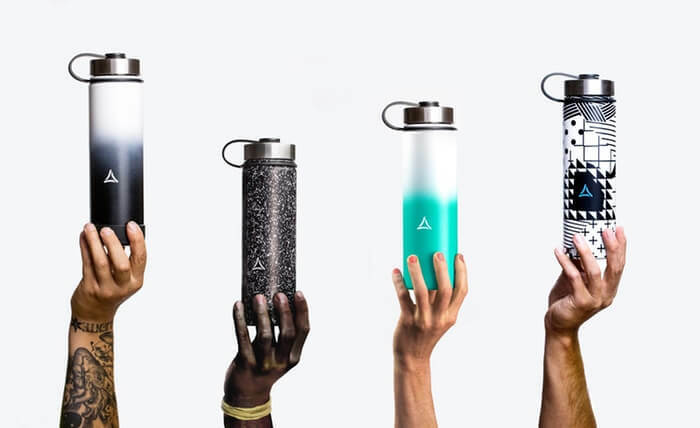 The company Cask launched this water bottle on Kickstarter and earned over $45,000. Backers instantly become evangelists for your product. After all, they don’t receive rewards unless the project succeeds, therefore it’s in their best interests to promote your product/brand. You get to test the viability of your product–after all, if it can succeed on a crowdfunding platform, then it should succeed on Amazon, right? Innovation rules on crowdfunding platforms, therefore it will press you to create products that are unique and original. That doesn’t mean you have to go crazy and totally invent something new, but it does mean that simply “copying-and-pasting” won’t fly. This is a good thing! Even if you’ve already got the requisite funds to create your product, using a crowdfunding platform can help stretch your funds out. 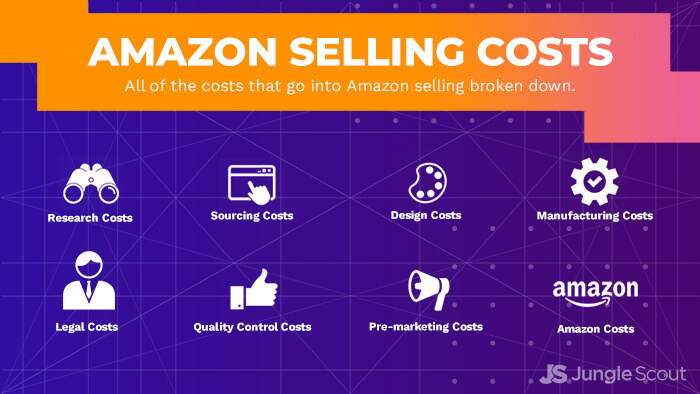 Consider this: Instead of spending the $$10,256.71 I outlined in our example, you could totally cut out the manufacturing portion of your costs, effectively reducing your cost to sell on Amazon by as much as 75% or more. And if you’ve already got a mailing list or a pretty big following on social media, you can reduce those costs even further by removing pre-marketing costs! 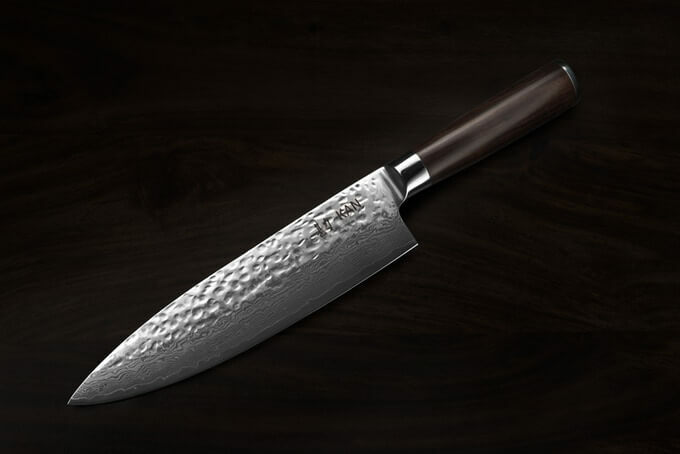 The Kan chef knife raised over $132,000 on Kickstarter. 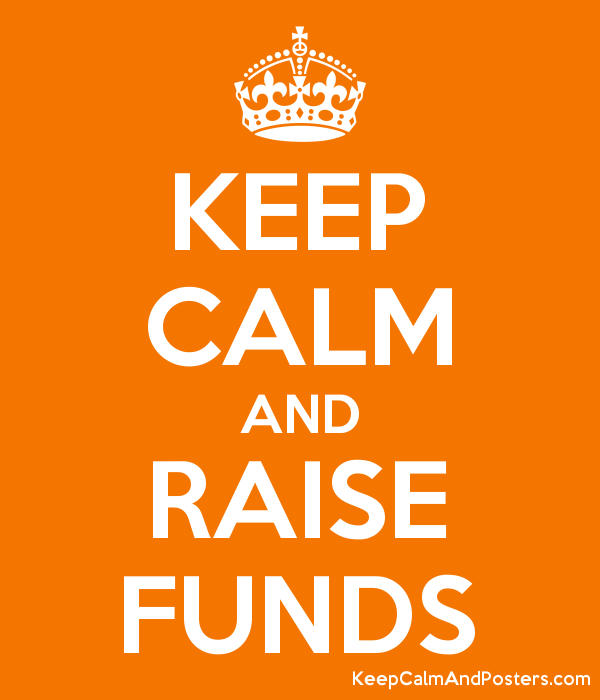 Here’s a few tips for creating an effective crowdfunding campaign. Look, everyone’s got ideas. I probably have at least 10 good ones before I even eat breakfast. So people don’t want to hear about your ideas. They want to see proof of concept. Before you start up a Kickstarter or Indiegogo campaign, be sure to have a finalized sample of your product–or at least a killer mock-up. Plus, be sure you know what sets your product apart from all the others like it. People love to see what they’re going to get. Most backer rewards take 3-6 months to arrive, so until they’ve got your cool product in their hands, your visual content is all they have to go on. Don’t be afraid to spend a little money on product photography, video editing, and infographics to help sell the product. 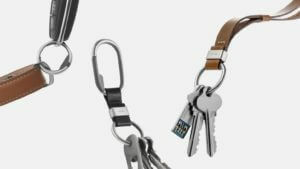 Orbitkey raised over $300,000 for a keychain. 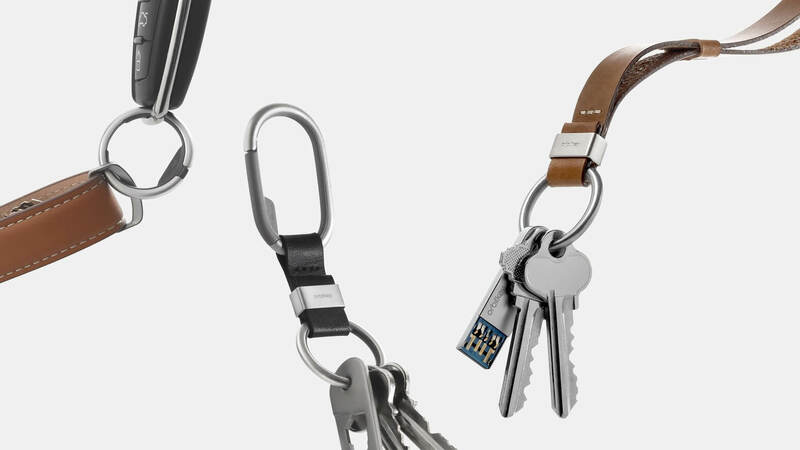 Yep… a keychain. A great hook that creates a pain point. Think about infomercials. They always start by asking “has this ever happened to you?” And then demonstrating a first world’y “disaster” of some sort: a jar that can’t be opened, a weed whacker getting its line all tangled, or an achy hand after dicing too many onions. The real price. Now that the potential buyer knows the value of the item, hit them with the real price. “… but we’re only charging $69.99 for this.” You might even throw in a few bonuses. Social proof. Everyone loves testimonials and reviews. Throw in plenty to back up your claims, especially if you can get videos with your product. Guarantee. If the word-of-mouth isn’t enough, give it some good guarantees, too. Back up your product with a warranty, or even guarantee that your item will deliver within a certain time frame. 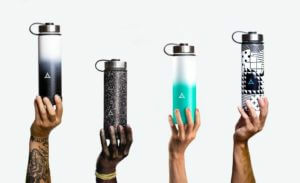 Tip: If you’re not a great copywriter, just find a successful campaign on Kickstarter with a similar product to yours and more-or-less copy what they did. That doesn’t mean copy-and-paste, but just follow the pattern they took to reach their success. Offer a lot of value. It’s not enough just to offer the generic product. You’ll want to offer the whole product. For example, if you’re selling a kitchen knife, you should probably give the potential customer a way to store it, a way to sharpen, and a guide to using it. That way there’s no objections or what ifs (and down the road, it’ll save you from competitors who capitalize on your product’s shortcomings). And you’ve got to offer a whole lot of bonuses, too. Many successful Kickstarter campaigns offer “stretch goals”, extras thrown into the backer rewards if certain fundraising milestones are met. This incentivizes the current backers to evangelize your product even more once its funded. The Modern Fuel pencil raised over $200,000 on Kickstarter. 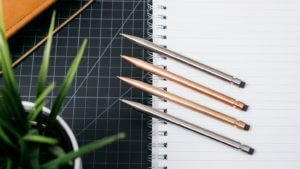 A pencil, people. Fundraising through a crowdfunding platform is powerful, but if you ask for too much, you’ll be met with blacklash. I’ve seen a lot of campaigns asking for $100,000 or more from the start that barely reached 5% of the funding goal. Inversely, those that ask for humble amounts–usually under $10k–often end up raising hundreds of thousands, sometimes millions! So if you need $9,750 to reach your goal, then make that your goal. Backers like to know that if they bet on your product that they’ll get rewarded. The lower the goal, the higher their trust in the success of your campaign. Hopefully, you now understand the cost to sell on Amazon and the various ways to raise funds for your product. For more helpful information on how to create an income selling products on Amazon, be sure to sign up for the rest of the Genius Series. Next week, we’ll offer a live ASK-ME-ANYTHING with Jungle Scout’s founder/CEO Greg Mercer, a seven year Amazon seller himself. Any advice on how to avoid getting knocked off by your own Chinese manufacturer? Are they hijacking your listing, or competing directly? And this doesn’t take into consideration the other “one-time” fees/costs. Does this make any sense? is this the typical margin on Amazon? Product costs are usually crazy low. There’s a reason it’s tough to compete with Chinese manufacturers. Amazon fees are closer to 25% on this product. They take 15% for referral fee and $3 for FBA fee. So on a $30 product, you’ll have $7.50 in fees, not $12. PPC: $7.50 is a safe assumption, so another 25%. Margin: about 34%, which is about right. Ideally, you’ll eventually level off your PPC and land somewhere around 35-40% (I believe that’s what Jungle Stix does) when you start getting more organic sales than paid. $10.17 per product doesn’t sound like a ton, but this is one that’s selling 300 units per month. So you’re bringing in $3000 in gross profit. From there, you’ll be able to subtract those one time costs (like start up influencers and mold charges, etc). You’ll make profit on the first batch and when it comes to your next order your overall costs will go down (mold fees, startup ad costs, etc. you won’t have to do again). Good questions though. I’m glad you’re putting a lot of rational thought into it. How is the PPC $250? You say 25-30% of the sale price (~$7.5) * 300 = ~$2,250 on PPC. Hey great question, Robert, and your math is correct. However, the $250 is a rough estimate of the actual amount you’ll need to come out of pocket before the gross profit margin takes over. Once Amazon starts paying you about 5-14 days after you start selling, ad costs will come of what you’re paid and you won’t have to worry about it anymore. So those costs are just “starter” out-of-pocket expenses in the rather-extreme example. It’s probably kinda tricky the way I worded it, since, yes, you eventually will spend 25-30% of your sales in ads. However, it usually balanced out unless you’re in a super competitive category. I read this just in time! I’m trying to make a final decision on a product I’m sourcing from China. The cost is what’s holding me back, so this article came at a great time for me. Thank you! Remember, a lot of those costs are avoidable. And with Kickstarter, as long as you have a strong product and are willing to do a little marketing, you can cut your costs down by as much as 75%. Cards Against Humanity actually spent $0 on ads with their Kickstarter. All they had was a mailing list of about 1,600 people and sent a few prototypes to influencers. Now they’re a multi-million dollar sensation! But now 2018, Chrome extension cost is $ 197 for pro version. The Lite version is $97 and the Startup plan is $29/month if you pay annually, so I guess you’re correct there… because you’d have to pay $348 to get the startup plan all at once.